The other night on Netflix we watched a great docuseries called Rotten. One of the episodes, Cod is Dead, dealt with the struggles of local fishermen off the coast of New Bedford since the federal regulations designed to replenish fish populations have been instated. It was a tough one because it really encouraged you to see both sides; the environmental side and the human side. Most disturbing was the very casual comment on how frozen fish is often frozen up to three or four times before it reaches your table. Which brings us back to the human side…shop local! Oh my gosh we are so lucky, and we know it, to live on the coast of Southern Rhode Island where there are fish shops selling day boat fish caught locally. You are getting fresh fish and supporting local fishermen. At our house we have been trying to eat less meat and more fish and vegetable based meals. We love to find recipes in our cookbooks, but also love to look for them in magazines as well. My husband often brings home gorgeous British magazines given to him by a lovely man who stops in where he works. This recipe is from Country Life, and although we made some substitutions, the general base of the recipe is the same. 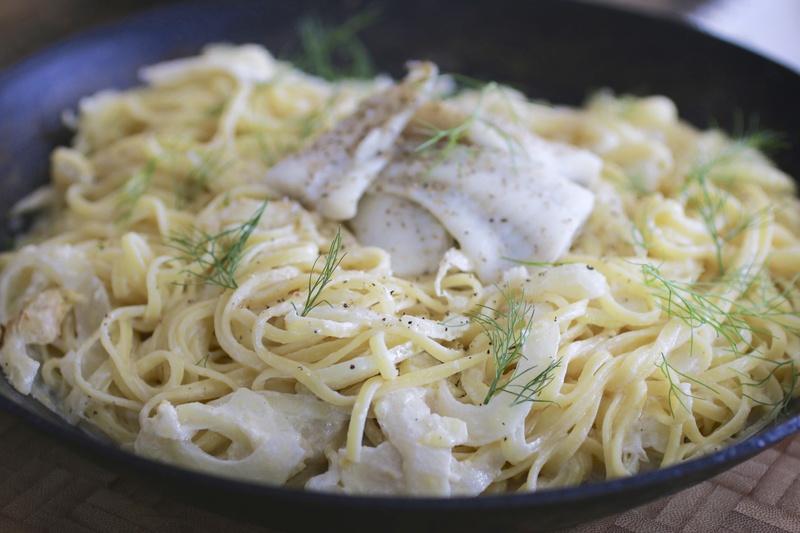 We think this creamy fennel linguini with cod is such a yummy winter dinner. It hits all the comfort food musts- warm…yes! Creamy….yes! Flavorful….yes! 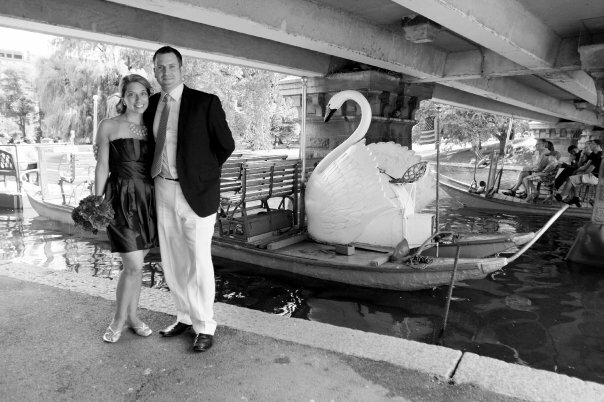 We highly suggest you alter the fish on top to any day boat fish you can get where you live. We just happened to have Cod that day, so Cod it was. This could not be easier to make. We cooked our linguini according to package directions and then set it aside. One fennel bulb was shaved on our mandolin to get nice thin slices. This was combined with the zest and juice of one lemon and a splash of really good olive oil and then pan fried until just taking on a golden hue. At the same time the lemon juice had reduced and we added 100 ml of light cream. You could go heavy. But the light works just as well. The pasta was added to the fennel mixture and tossed together. At the very end we added the fennel fronds and topped with cod which had been poached for about four minutes in simmering water with lemon slices. Use salt and pepper to taste. The flavor of the lemon brightened this every day pasta right up and the fennel added that lovely winter flavor. This was so creamy and decadent and yet didn’t include one shaving of cheese. Because we were serving it as a dinner we opted to top with the fish- but again- that is not even necessary. This pasta stood on its own and was so good.